Franciscan peace is not something saccharine. Hardly! That is not the real Saint Francis! Nor is it a kind of pantheistic harmony with forces of the cosmos. That is not Franciscan either! It is not Franciscan, but a notion that some people have invented! Then there are the outright myths. Francis of Assisi didn’t author the famous 1967 hymn “Peace Prayer of Saint Francis.” It was written by Sebastian Temple, a twentieth century South African born composer. The prayer on which Temple based the hymn can’t be traced further back than a French magazine published in 1912. The text to which I always turn whenever claims about Francis of Assisi are made is Augustine Thompson O.P’s meticulously researched Francis of Assisi: A New Biography (2012). The real strength of this biography is the way it rigorously analyzes the documentary record and sources and shifts out what is reliable from that which is hearsay and legend. So what are some aspects of Saint Francis’s life detailed in Thompson’s book that will surprise many? One is that although he sought radical detachment from the world, Francis believed that he and his followers should engage in manual labor in order to procure necessities like food. Begging was always a secondary alternative (29). Another is that Francis thought that the Church’s sacramental life required careful preparation, use of the finest sacred vessels (32), and proper vestments (62). This is consistent with Francis’s conviction that one’s most direct contact with God was in the Mass, “not in nature or even in service to the poor” (61). While Francis is rightly called a peacemaker and one who loved the poor, Thompson stresses the saint’s “absolute lack of any program of legal or social reforms” (37). The word “poverty” itself appears rarely in Francis’s own writing (246). It seems Francis also thought that it was absolute rather than relative poverty which “always had a claim on compassion” (40). When it came to Catholic dogma and doctrine, Francis was no proto-dissenter. He was, as Thompson puts it, “fiercely orthodox” (41), even insisting in later life that friars guilty of liturgical abuses or dogmatic deviations should be remanded to higher church authorities (135-136). Hence it shouldn’t surprise us that Francis’s famous conversation in Egypt in 1219 with Sultan al-Kamil and his advisors wasn’t an exercise in interfaith pleasantries. While Francis certainly did not mock Islam, the saint politely told his Muslim interlocutors that he was there to explicate the truth of the Christian faith and save the sultan’s soul (66-70). Nothing more, nothing less. Francis is of course especially remembered by Christians and others for his love of nature, so much so that another saint, John Paul II, proclaimed him the patron saint of “those who promote ecology” in his 1979 Bula Inter sanctos. Francis’s deep affinity with nature and animals was underscored by those who knew him. The killing of animals or seeing them suffer upset him deeply (56). In this regard and many others, Francis didn’t see the natural world and animals as things to be feared or treated solely as resources for use (57). Unlike many other medieval religious reformers, however, Francis rejected abstinence from meat and wasn’t a vegetarian. Nor was there a trace of pantheism in Francis’s conception of nature (56). Francis’s references and allusions to nature in his writings, preaching, and instruction were overwhelmingly drawn from the scriptures rather than the environment itself (55). More generally, Francis saw the beauty in nature and the animal world as something that should lead to worship and praise of God (58)—not things to be invested with god-like qualities. G.K. Chesterton’s 1923 popular biographyof Francis makes a similar point: though he loved nature, Francis never worshipped nature itself. Francis’s relationship to nature, Thompson observes, shouldn’t be romanticized. The saint even viewed vermin and mice, for example, as “agents of the devil” (225). Man has been created to praise, reverence and serve our Lord God, thereby saving his soul. Everything else on earth has been created for man’s sake, to help him achieve the purpose for which he has been created. So it follows that man has to use them as far as they help and abstain from them where they hinder his purpose. However much legend and mythology has blurred the real Francis of Assisi over time, the genuine drama of his life and the forces he unleashed in medieval Europe mean that he’s perhaps fated to have any number of ideological programs thrust upon him. In the end, however, we should remember that while Francis of Assisi continues to have many things to say to everyone today, at the core of all those things is the Catholic vision of God, man and the world. One can safely say that, for Saint Francis himself, any other interpretation would be impossible. The Rapture doctrine, which was the invention of the Plymouth Brethren led by John Nelson Darby (1800-1882), has today been adopted by most Baptist, Pentecostals, Assemblies of God, and a variety of other fundamentalist sects. The idea that Jesus Christ will return for His true Church just before the beginning of the Great Tribulation in a secret gathering or “catching away” was an important part of Darby’s teaching. The movement in which this teaching began originated in small groups in England and Ireland about 1828 and by 1831 was part of the official teaching of the Plymouth Brethren. By 1860 the “rapture” had made its way to the United States. In the late 1800’s, America was fertile ground for a wide variety of religious extremists, most notably the Adventist movements. These movements, which produced new denominations, sects, and cults, almost always had as one of their chief tenets the belief that Christ was going to return to earth “very soon” and that they could tell you when. As the eschatological and apocalyptic teachings of the Plymouth Brethren entered this mix of religious fervor, some of their teachings became a permanent fixture within the newly formed sects. Among the many heresies of the “brethren” the Rapture was the most successful. It even went on to affect millions of people in denominations which had not yet been formed. Two examples of this are the Assemblies of God and the United Pentecostal Church which were not founded until early in the 20th century. At about this same time the Rapture made its way into the theology of the Southern Baptist Church, which had not previously known of the teaching. Today, prophecy pundits and “end-time” revivalists preach the Rapture as if it were established dogma from the time of Christ until the present. The truth is that the first historical reference to the Rapture doctrine comes from the Plymouth Brethren. Not only is the Rapture not found in the teachings of the Church, but even “end-time” heretics throughout the centuries never dreamed of proposing such a novel idea. For example, the 4th century Montanists, who preached both pre-millenialism and that they knew when Christ would return, never ventured so far as to create another 2nd coming of the Lord in a secret rapture. 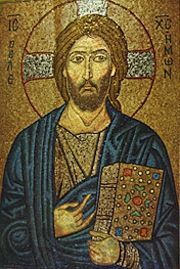 In all the writings of the Scriptures, the Early Fathers, and the Ecumenical Councils, there is no mention of two 2nd comings of Christ. In fact, the 2nd Ecumenical Council definitively states and places in the Nicene Creed these words: “He shall come again in glory to judge the living and the dead and His Kingdom shall have no end.” This council of the Church, held in A.D. 381 in Constantinople, pronounced for all time what we as Christianis believe about the 2nd coming of Christ. The Fathers of the Church wanted it to be crystal clear that when our Lord returns (a time which only God the Father knows- Mark 13:32). He will establish His rule on earth forever, not merely 1000 years. The council did not condemn the Rapture heresy because the teaching did not yet exist. Moreover, there is no mention of the teaching in either the early Medieval period or the Scholastic era. One might think that the Rapture is the product of the Reformation, since almost all of its adherents are Protestants, but not so. The student searches in vain to find the Rapture doctrine among the writings of Martin Luther, John Calvin, or John Knox. John and Charles Wesley know nothing of the theory. Even the Puritans (some of the most radical of the radical Protestants) never heard of or wrote about the Rapture. As a matter of fact, not only do the Eastern Orthodox, Roman Catholics, and Anglicans deny such a teaching but all “mainstream” Protestants do as well. The Rapture is not to be found in the doctrinal statements of Presbyterians, Lutherans, or Methodists (at least not in the main bodies of each of these groups). If any of their individual members embrace the Rapture theory, it is because they have been influenced by rapturist TV preachers or have read one of the hundreds of books written on the subject in the last 35 years. It is not in the teachings of their respective churches. It seems strange to me that the Lord would not reveal, by the Holy Spirit, a teaching which the end-time prophets of today preach as a foundational dogma and a forgone conclusion. Not until 1831 was this “new truth” revealed and not until the 20th century was it popularized. How is it that the Apostles and the Early Fathers overlooked such an important eschatological event? Why is it not clearly spelled out in the Scriptures? The obvious answer is this: THE DOCTRINE KNOWN AS THE PRE-TRIBULATION RAPTURE OF THE CHURCH DOES NOT EXIST! Like all other heresies it was and is the invention of men, not the teaching of the Church. Rather than listen to the doctrines of men, let us pay extremely close attention to our Lord’s own words in the Gospels. When Jesus taught His Apostles about His glorious 2nd coming, these are the words He used: “For as the lightning cometh out of the east, and shineth even unto the west; so shall the coming of the Son of Man be (Matthew 24:27)”. In the book of Acts, St. Luke tells us that when Jesus ascended into heaven, and the Apostles were gazing upward as the Lord rose among the clouds, two men in white apparel (presumed to be angels) said these words: “Ye men of Galilee, why stand ye gazing into heaven? This same Jesus, which is taken up from you into heaven, shall so come in like manner as ye have seen Him go into heaven (Acts 1:11)”. We are told here in Holy Scripture that exactly in the same way Jesus ascended into heaven He will return to earth. In other words, He will return in the clouds in the sky. That description doesn’t sound like a “secret catching away” but rather a dynamic 2nd coming! To be sure, there will be a catching away of the saints on earth but this happens at the last trumpet sound (Revelation 11:15). Writing to the Christians in Thessalonica, St. Paul tells us what the 2nd coming (Greek- parousia) is like. “For the Lord Himself shall descend from heaven with a shout, with the voice of the archangel, and with the trump of God and the dead in Christ shall rise first: then we which are alive and remain shall be caught up together with them in the clouds, to meet the Lord in the air and so shall we ever be with the Lord. Wherefore, comfort one another with these words (1 Thessalonians 4:16-18)”. The same words are used here to describe the catching up of Christians as is used to describe the 2nd coming of the Lord. Both occur in the clouds, in the air, and everyone on earth sees it happen. In other words, the so-called Rapture and the 2nd coming of Christ will happen at the same time. Perhaps the most vivid picture of our Lord’s 2nd coming to earth is found in the words of St. John the Apostle. In the book of Revelation he writes: “Behold, He cometh with clouds and every eye shall see Him, and they also which pierced Him: and all kindreds of the earth shall wail because of Him. Even so, amen (Revelation 1:7)”. Far from believing that the Lord will return “secretly” to rapture the Church 7 years before His 2nd coming, St. John says that every human being on earth will see the Lord descend from the clouds. Once again, here are the words of the Nicene Creed, the symbol and statement of faith for all Christians: “He will come again in glory to judge the living and the dead and His kindgom shall have no end.” The 2nd coming of our Lord Jesus Christ shall be in glory, not in secret. Then the Prince of Peace shall establish true peace, joy, and righteousness on the earth; “For the earth shall be filled with the knowledge of the glory of the Lord, as the waters cover the sea (Habakkuk 2:14)”.